Berkhamsted SC's team at the Herts Major League Division One final earlier this season. With a threat of relegation looming at the weekend, Berkhamsted SC’s members approached the final round of the Herts Major league Division One with determination that they would not go down without a fight. It went down to the wire but a great effort in the final squadron relay preserved their top-flight status. Once again there were a number of swimmers missing from the original selection but every swimmer involved showed real team spirit. In the final analysis, a superb team ethos came through as they secured second place in the gala to move from equal 11th to ninth in the final table. The evening started with a flourish when Amy Pemberton and James Chennells stormed to victory in their 100m freestyle races and both rewrote the club record books. Their wins set the tone for the night, which saw the club swinging from second to fifth and back again with just six points separating those places at the three-quarter mark. Tamsin Moren led from the start to win the 13-years 100m breaststroke (1:22.16) and Eva Lawson, standing in for a late sickness withdrawal in the 11-years 50m breaststroke, won in a personal best (PB) time of 41.22. She backed that up with victory in her age group 50m butterfly, coming home nearly three seconds clear of the field. Evie Watson took the win in the 15-years 100m breaststroke with her second PB of the league (1:26.36). PB swims also abounded, including Ruby Liddle dipping from 41s down to 39.38 for third in the 11-years 50m backstroke. Eric Batt smashed through the 40-second barrier in the 11 years’ boys backstroke (38.06) for third place. Millie Harrison took on the 100m fly for the first time, without demur, to clock 1:47.63, and Rocco Adatti chopped a huge six seconds from his 11-years 50m breaststroke (47.58). Clemmie Holmes was another first-timer who, despite a goggle malfunction mid-race, came home strongly (1:23.59) for her first effort in the 100m freestyle in the 15-years. Tom Stoker finished fifth as his PB improved to 1:10.94 in the boys’ 15-years free style. Alex Farnham sliced four seconds off her 100m fly PB in the 13-years category, hitting the pads in 1:29.66. Joe Harrison’s first league effort at the 50m fly saw him finish in a PB of 46.16. Dan Chennells, fresh from a long-course PB earlier that day in the 100m freestyle at Wycombe, improved his 100m backstroke to 1:06.77 for second place in the boys’ 15-years. William Barnes is gaining confidence with every race and got inside 40 seconds for the 50m free (39.46). Owen Strakosch continues to get quicker and improved his mark in the backstroke to 1:07.18 for third. Issy Soulsby completed her best breaststroke for many months in 1:25.94 and Lydia Wisely took her 100m backstroke time to 1:21.91 to complete the individual best times. Pemberton destroyed the field in the Open 100m butterfly, storming off the blocks to lead by three seconds at halfway, and maintained that advantage to win in 1:04.97 to shatter her PB and the club record by more than three seconds. 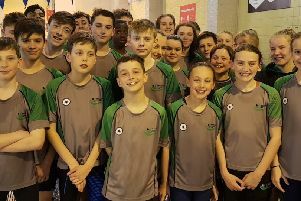 There were second-places finishes for Abi Hewson (15-years 100m backstroke), Abbie Briers (13-years 100 freestyle), Alex Kalverboer (twice, in the 13-years boys’ 100m freestyle and back) and Ish Rahim (Open 100m fly) alongside many other top placings but the relays showed the real team spirit. Although not gaining any team wins, the relay squads all pulled together. The Open girls (Soulsby, Ayles, Pemberton and Tracy Fairweather) combined for a third-place finish in the medley and second in the freestyle relays. The Open boys (Strakosch, Harry Thorne, Rahim and James Chennells) were also third in both of their relays. 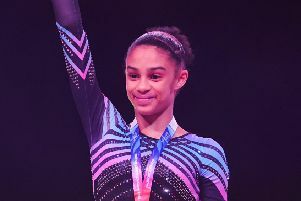 The under-12 girls (Liddle, Ayre, first-timer Seren Diehl and Lawson) claimed second in their freestyle event and third in their medley, while the under-12s boys (Batt, Adatti, Barnes and Harrison) teamed up. Hewson, Watson, Holmes and Watson did the same for the girls under-16s squad. Yazeed Swarray-Deen responded to a late call-up to join David Graham, George Thorne and Dan Chennells for the boys’ under-16s squad, who claimed a fourth and a third place in the medley and freestyle relays respectively. The final relay squads were the under-14s with, for the girls, Moren, Wisely, Farnham and Briers, teaming up to pinch second in both the free and medley, in the latter storming back on the winners in the final stages but just running out of water. The boys’ team of Tom Holmes-Higgin, Hugh Clare, Eze Svichla-Fekete and Kalverboer finished third in their medley Relay. Going into the final cacophonous squadron relay, the club were still in fourth place and going down, but a stupendous effort led off by Harrison, followed in turn by Lawson, Kalverboer, Moren, Hewson, Dan Chennells and Pemberton placed James Chennells on the anchor leg needing to go past a Royston swimmer to be almost certain of staying in the league, depending on other placings. He did just that, anchoring the team home to second place in the race and second overall to complete a fabulous night of swimming.